Division Arms, LLC was started in early 2018 with a strong focus on Quality, not Quantity. We bring to the market 20+ years of experience in firearms training and sales. 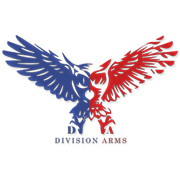 Division Arms, LLC is a veteran owned and operated company. We pride ourselves on exceptional customer service. From everyone here at Division Arms, LLC we thank you all for your business and continued support as we grow and advance to better serve the public!